London, 27 October 2017 – King’s Cross Limited Partnership (KCCLP) has been granted planning permission by Camden Council for a new 11-storey office building designed by Mossessian Architecture. The building, known as S1, forms an architectural pair with neighbouring S2, which was also designed by Mossessian Architecture and is home to Google. Both are located on the new Handyside Street, by Lewis Cubitt Park. 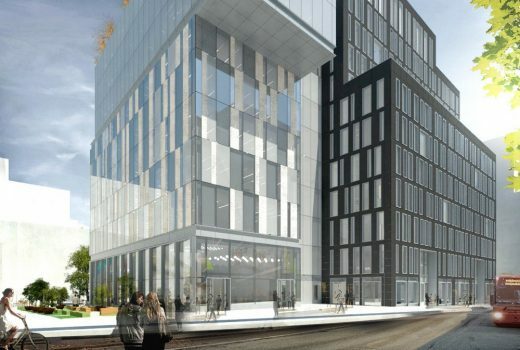 S1 will provide a total of 196,284 sq ft of Grade A office space set over ground and ten upper floors with floorplates ranging from 1,700 to 2,500 sq ft. 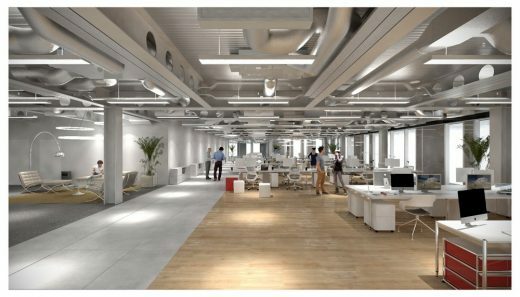 It will offer flexible open-plan office layouts that will appeal to occupiers looking for an inspiring and well-connected work environment for their employees. Two levels – 7 and 10 – will be equipped with their own large terraces, but there will also be a landscaped roof terrace overlooking the London skyline on the 11th floor that will be accessible to all inside. At ground level, S1 features a double-height reception lobby and will provide restaurant or retail space. The building is situated on the corner of Handyside Street and Canal Reach with access from both roads. 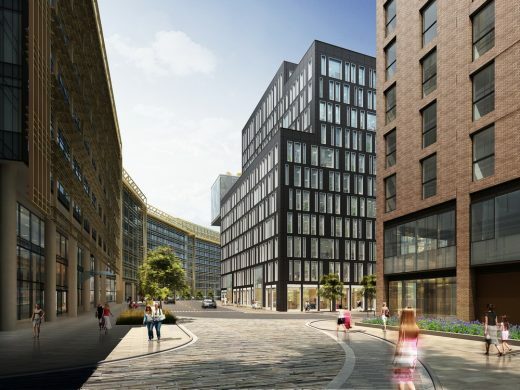 Mirroring its partner, S1 will have a tuff stone façade clad in black volcanic lava stone from Armenia which was a first for buildings of this scale in the United Kingdom when S2 was constructed. Construction will commence immediately with completion due in 2019. 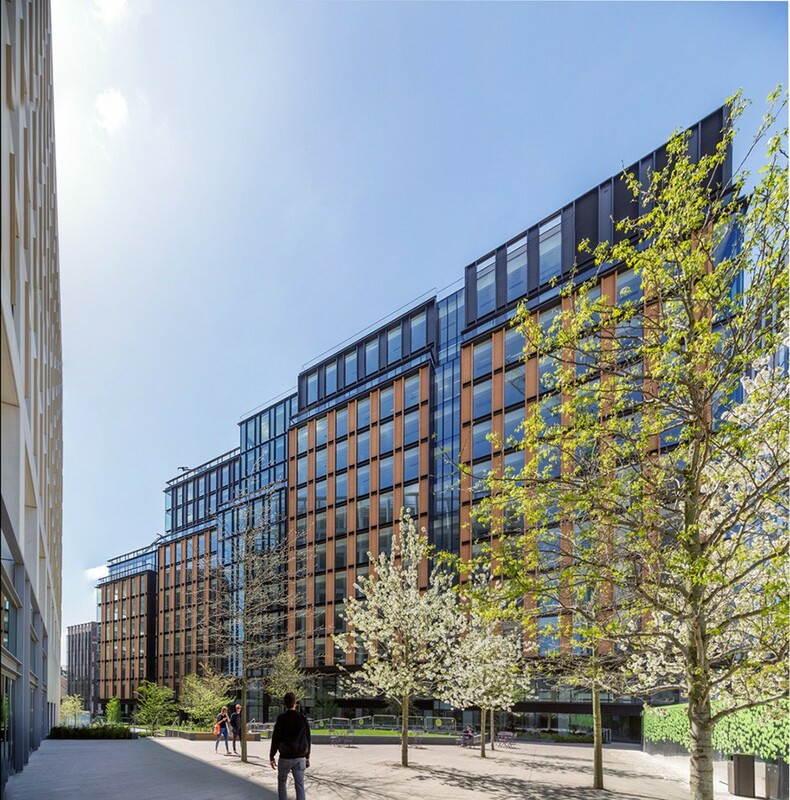 With construction of its ‘S2’ building in King’s Cross now well underway, Mossessian Architecture has now submitted a planning application for ‘S1’, a 26,172 m2 office building which sits adjacent to, and completes the compositional form of, building S2. S1 is located on the corner of Handyside Street and Canal Reach. 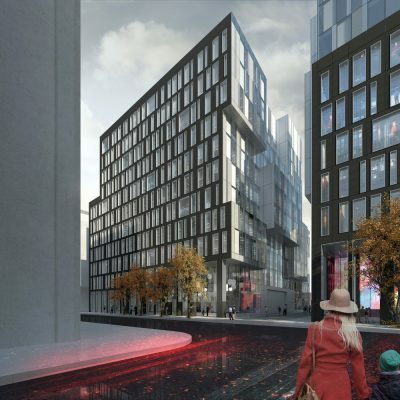 Both buildings will be clad in tuff stone, black volcanic lava stone from Armenia, a first for buildings of this scale in the UK. Sitting next to each other, buildings S1 and S2 respond to each other to form an urban piece where the mass of the buildings and void created between them relate to the urban flow and place making. The space in-between forms a dramatic sculptural void and acts as a passageway leading to a new public square – Keskedee Square – that will offer a variety of restaurants, retail spaces and meeting places. 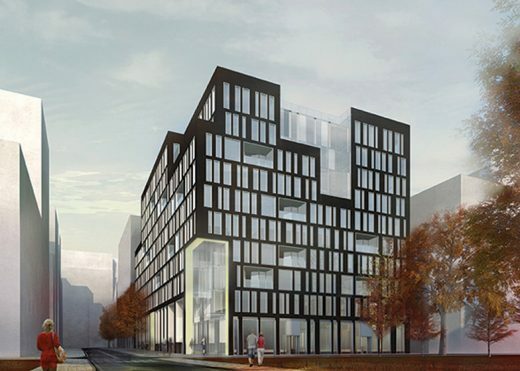 S1 completes the architectural language of its sister building, offering the same black stone as mass with natural anodized window frames sequenced in rhythmic modulation, in contrast with a variegated textured glass defining the public realm. The building consists of eleven floors of office space – NIA from 1,124 to 2,145 m2 – with restaurants and retail units at ground level. Three levels are equipped with large terraces, and the 11th floor has a generous landscaped roof terrace accessible to all tenants. S1 currently offers pre-let opportunities. S2 has been pre-let to Google Deep Mind. 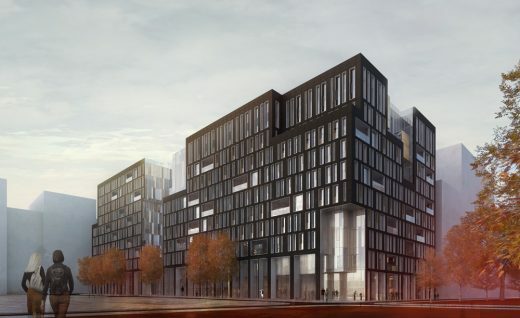 2 Mar 2016 – UK studio Mossessian Architecture’s 11-storey office building for Google in London’s King’s Cross has received planning permission by Camden Council. The S2 building for the tech company will be located behind Central Saint Martins arts college, and is expected to be completed by 2017 at the earliest.